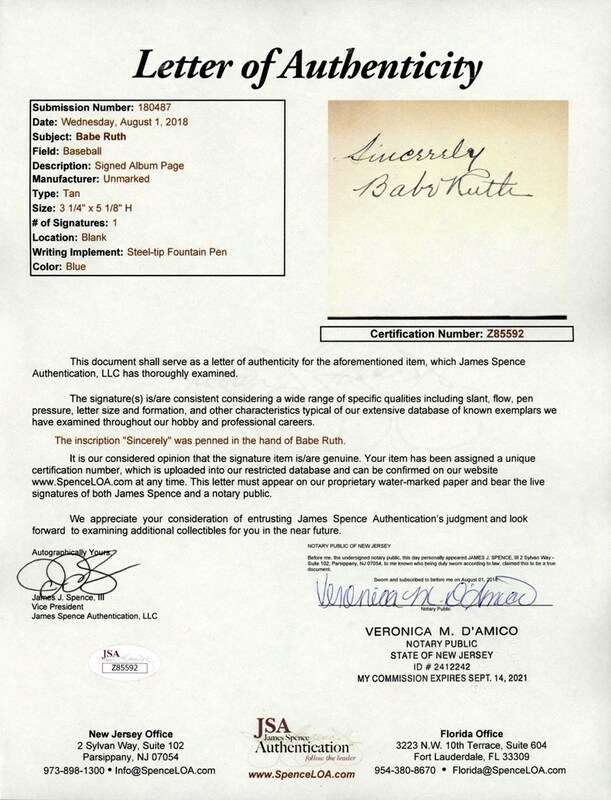 No baseball autograph collection can be considered complete without a Babe Ruth signature. Of all the great baseball players that ever played the game, it is generally considered by most that the "Bambino" stands at the top. Babe Ruth's 60 in a season and 714 lifetime home runs, while no longer records, continue to be cornerstone figures in America's game. It bewilders the mind to think about Ruth hitting all those long balls and knocking in over 2000 runs even though he lost almost 5 full years to pitching. Speaking of which, if his home run mystique wasn't enough, Ruth won almost 100 games in his short pitching stint with the Boston Red Sox while setting the consecutive World Series scoreless innings record (later broken by Whitey Ford). Long after his baseball career had ended, Ruth continued to sign baseballs, photos, postcards, paper cuts or almost anything that an avid fan could offer him for his signature. It was a dream for every American boy to have some artifact signed by the "Sultan of Swat", and that dream continues to live with current hobbyists who seek an outstanding Babe Ruth signature for their prized collections. 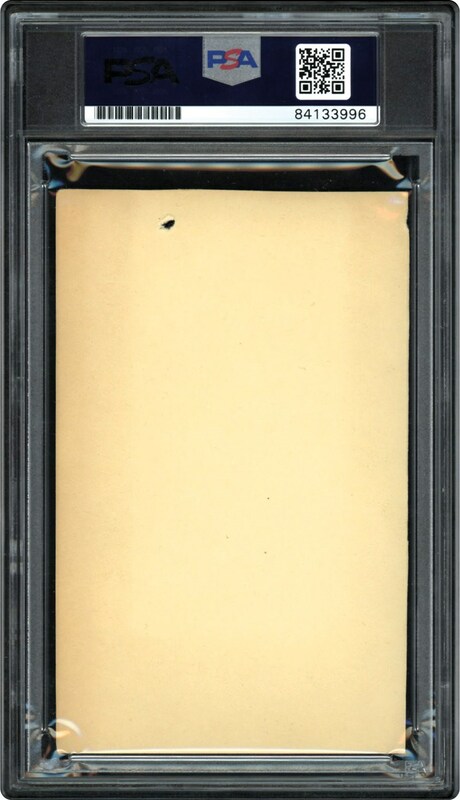 Presented here is one of those highly coveted Babe Ruth autographs, an absolutely breathtaking bold black fountain pen script on a relatively clean 3-1/4" x 5" index sized blank card. 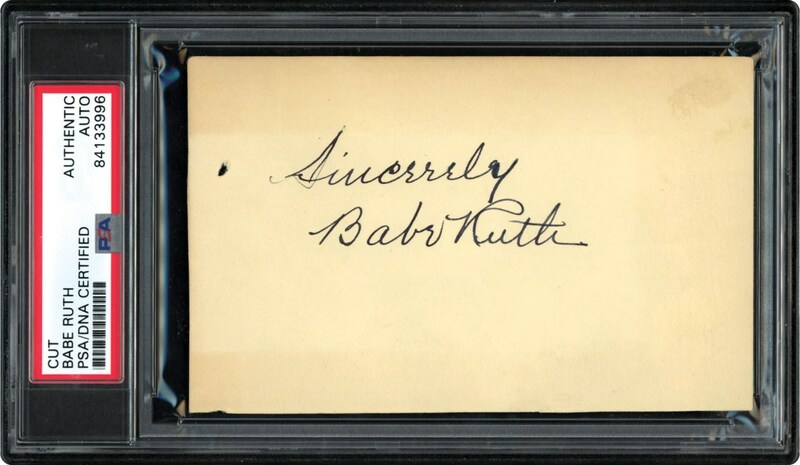 Portraying conservative "Mint 9" strength, the immortal "Sincerely, Babe Ruth" autograph can be seen from across the room, and stands as one of the boldest Ruth scripts you will ever encounter. A breathtaking heirloom of this "larger than life" legend, for framing purposes, it stands as a perfect complement to any Ruth photo, and a collectible that will make the fortunate winning bidder the envy of his collecting peers! - PSA/DNA Encapsulated & JSA full LOA.